The research group of Ana Teixeira at Karolinska Institutet is looking to hire an outstanding postdoctoral fellow to join a project that aims to investigate mechanisms of communication between metabolic tissues. In particular, the work involves the development and application of micro- and nanotechnologies to investigate the roles of communication between tissues mediated by soluble factors. To qualify the applicant must hold a doctor´s degree or a foreign qualification deemed equivalent to a doctorate degree. The candidate must have at least one first author paper in a high quality international peer-reviewed journal. A strong drive to excel is essential. Applications are welcome from candidates with a background in engineering, biophysics, cell and molecular biology, biomedicine, bioengineering or related fields. Expertise in microfluidics is a requirement. Scholarships to pursue postdoctoral studies may be awarded to individuals who come from other countries with the intention of remaining in Sweden only while obtaining all or part of their education. The head of the department determines whether their previous training and scholarly qualifications correspond to a Swedish PhD or higher. Having received a salary or other remuneration from Karolinska Institutet during the past two years may be disqualifying. One requirement for receiving a scholarship for postdoctoral studies is central registration as a postdoc. 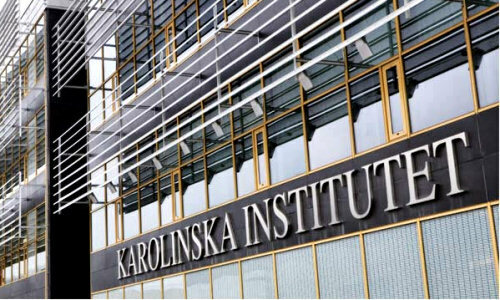 Type of scholarship: Karolinska Institutet awards scholarships to pursue postdoctoral studies. This educational scholarship, which is paid for a maximum of two years within five years after the receipt of a PhD or the equivalent, is tax-exempt. There is a possibility of extension of the position with taxable salary from year 3.